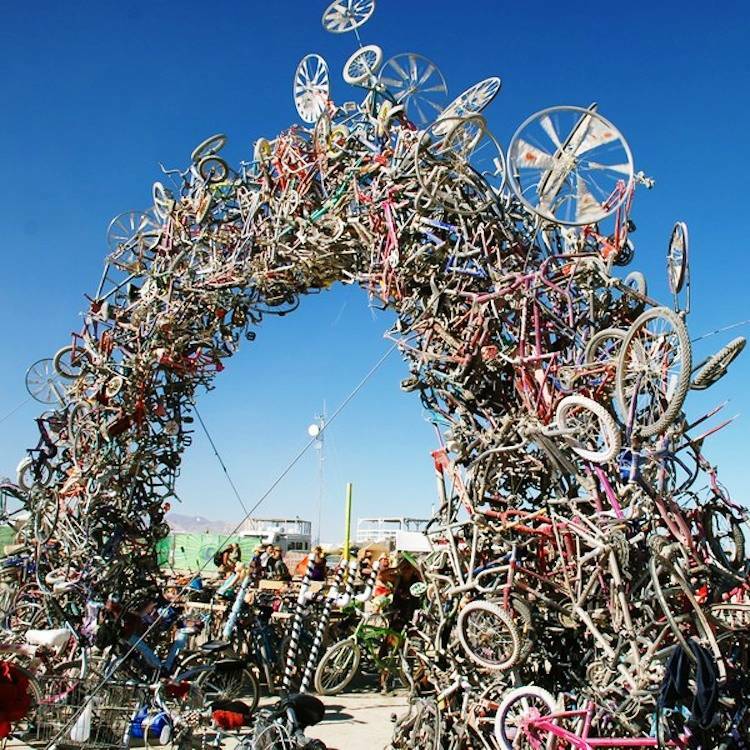 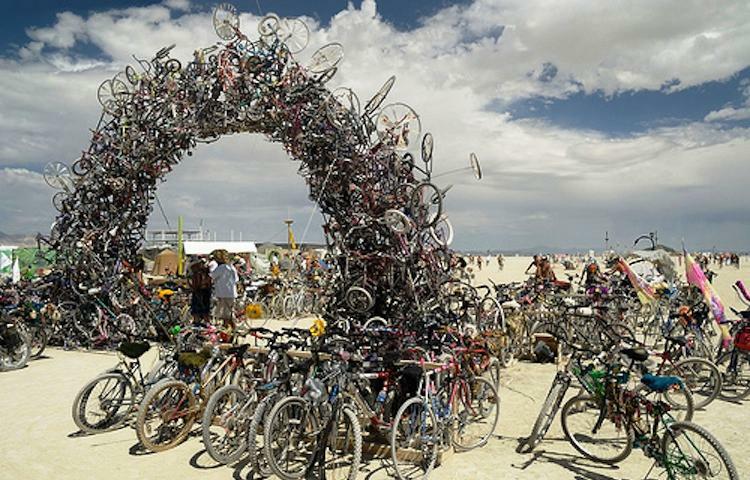 Artists Mark Grieve and Ilana Spector, who collected the bicycles from the debris piles of nonprofit bicycle organizations, created this bicycle arch. 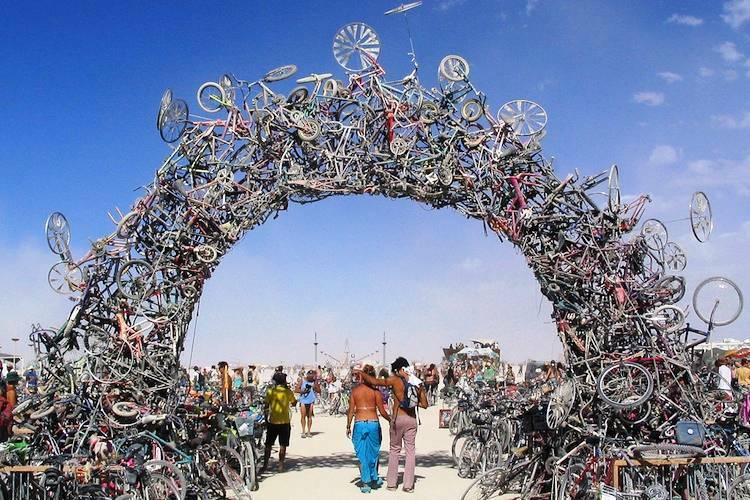 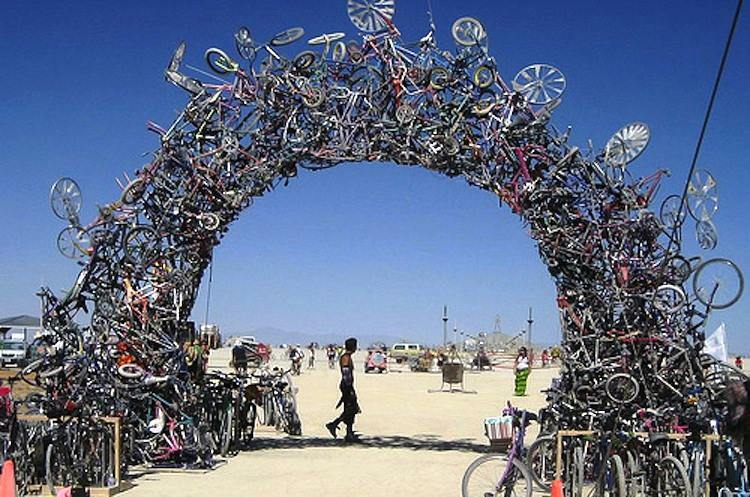 The archway features 300 bikes and was on display in California. 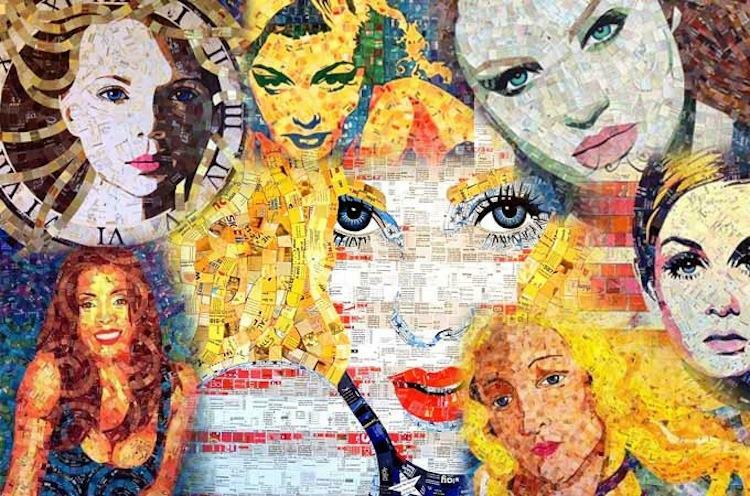 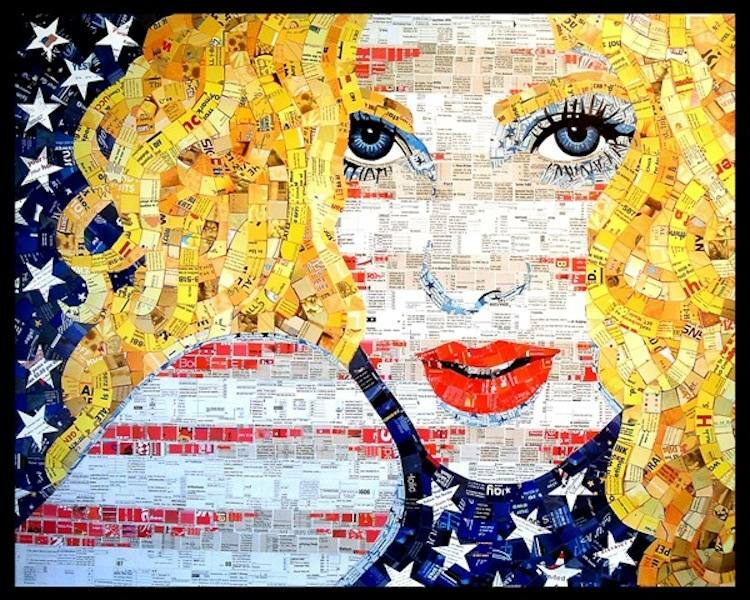 American artist Sandhi Schimmel created this image using tax forms and political junk mail. 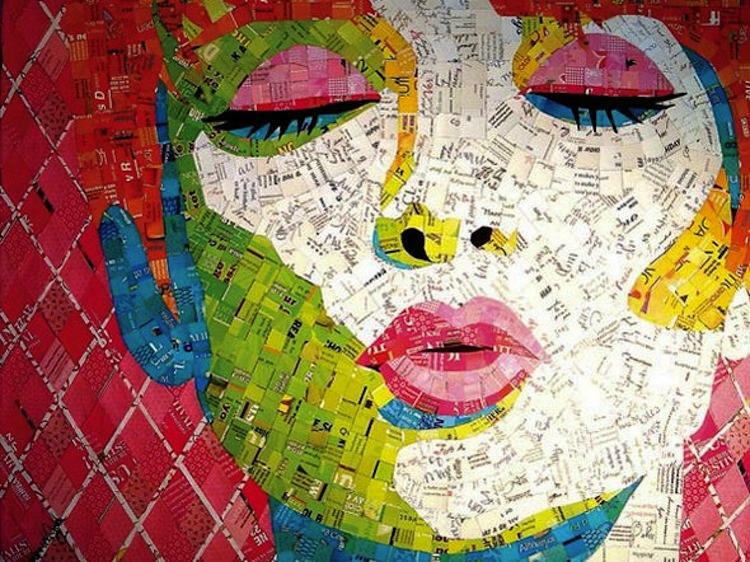 Her other works are created using paper waste including menus, junk mail, greeting cards and advertising brochures.